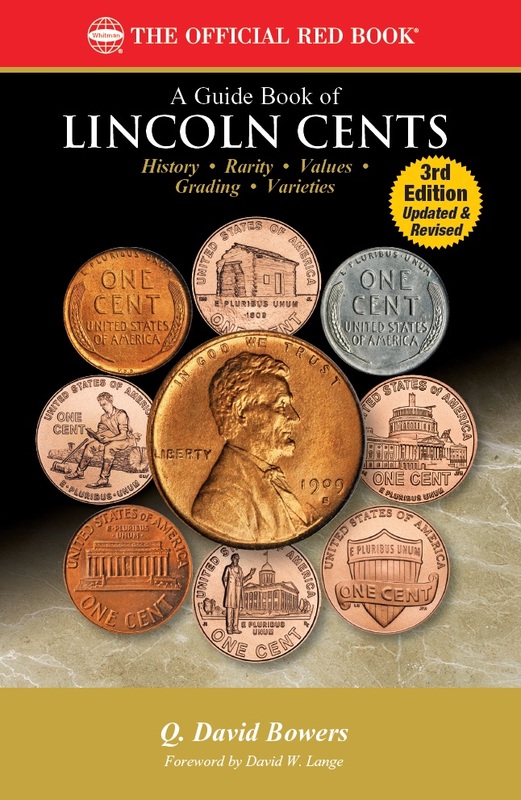 (Pelham, Alabama)—Whitman Publishing has released an updated and revised third edition of its best-selling Guide Book of Lincoln Cents. It continues in the popular tradition of the Guide Book of Morgan Silver Dollars and other Bowers Series numismatic guides, which number more than two dozen volumes. The 320-page full-color book is available now, in January 2019, online (including at Whitman.com) and from booksellers nationwide for $19.95. The new edition includes a thorough market analysis for each date and mintmark of Lincoln cent produced through 2018, in up to nine circulated and Mint State grades, plus Proofs. It features hundreds of photographs, and insight on error coins, patterns, related tokens and medals, and proposed Bicentennial designs. Appendices new to the third edition explore the Citizens Coinage Advisory Committee’s review of the 2010 Union Shield reverse, a snapshot of the Lincoln cent market in 1946, and how to get a new die variety listed in hobby publications such as the Red Book. Generations of coin collectors have grown up with the Lincoln cent, America’s longest-running coin series, first minted in 1909. Author Q. David Bowers, the nation’s most widely published numismatic writer, provides a detailed study of this American classic, including history, grading, market values, and more. Each Lincoln cent is illustrated in full color, with high-resolution enlargements for important doubled dies and other varieties. Mintages, specifications, and retail values in multiple grades (including Brown, Red/Brown, and Red Mint State) add to the book’s reference value. More than 750 photographs illustrate the text. On the technical and production side, A Guide Book of Lincoln Cents covers die preparation, the coining process, distribution, design modifications, Proofs, mintmarks, and other specialized topics. An appendix by specialist Fred Weinberg discusses errors and misstruck cents. On the market side, the book explains how to specialize in Lincoln cents, and gives advice on determining authenticity, analyzing color and strike, being a smart buyer, realities of the marketplace, comparative rarities, Full Details, certification, establishing fair market prices, and more.